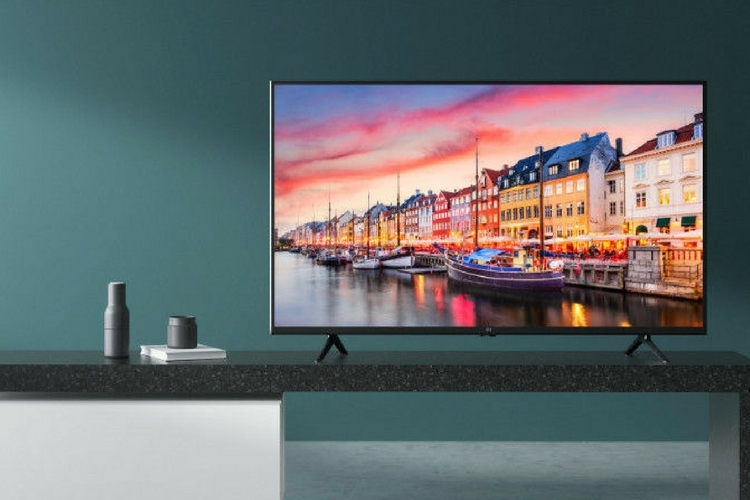 After an intense round of leaks and speculation over the past week, Xiaomi has now taken the wraps off its latest smart TV lineup, the Mi TV 4A, for India. This new television lineup comes just three weeks after the release of the company’s first-ever smart TV, the 55-inch Mi TV 4, in the country. This time around Xiaomi has not just presented us one, but 2 smart LED TVs with different screen sizes. The Mi TV 4A has been released in 32-inch and 43-inch variants, which come post the demand for an affordable variant of the Mi TV 4. Both smart TVs will be available for sale on Mi.com, Mi Home, and Flipkart. And they sure are cheap, to begin with, as the 32-inch variant is priced at ₹13,999 while the 43-inch variant is priced at ₹22,999. The first flash sale is scheduled for March 13. Keeping in line with its previous release, both the Mi TV 4A’s run Xiaomi’s own custom Patchwall OS which provides you access to a flood of content. The Mi TV 4A lineup comes with a whole bunch of pre-loaded apps, including, but not limited to, Hotstar, Voot, Hungama Play, and Zee 5, most of which will be free to access. The PatchWall OS, if you’re unaware, is based on a forked version of Android. This smart television was first launched in China back in October 2017. Mi TV 4A 43-inch features a Full HD panel, with a display resolution of 1920 x 1080 pixels, while the smaller TV has a HD Ready panel with a 1366 x 768 pixel resolution. It’s powered by quad-core Amlogic T962 64-bit chipset, coupled with 1GB RAM and 8GB storage. The 32-inch Mi TV 4A includes a variety of ports, such as 2 USB-A, 3 HDMI, 3.5mm headphone jack. The 43-inch variant includes an extra USB port and an S/PDIF port. Both new Mi TV 4A variants bring along Wi-Fi 802.11ac (2.4/5 GHz dual-band Wi-Fi support), Bluetooth 4.2, Dolby, DTS Audio, HDR 10 support, and a blue light-reducing mode to help reduce strain on your eyes. The Mi Bluetooth Remote Control, which comes bundled with the Mi TV, includes an intuitive 11-button design and infrared features to the comfort of your home. The timely release of yet another smart LED TV, that too a more affordable one, confirms Xiaomi’s commitment to disrupting the television market in India as well. The company is already a well-established name in the country, thanks to its sturdy but cheaper offerings. So, it seems like the perfect time for Xiaomi to expand the range of products and services it offers to users in one of the fastest growing markets.